This historical image is a poster from the Canadian National Committee for Mental Hygiene (CNCMH), formed in 1918 when knowledge of mental illness was still in its infancy. 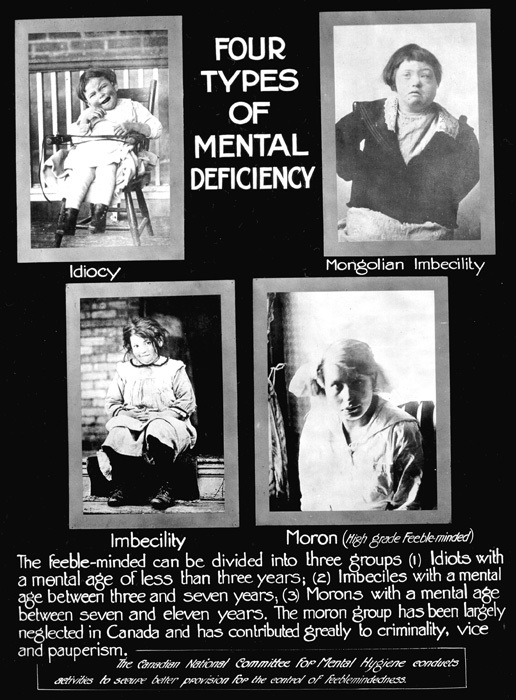 The poster from 1924 depicts several individuals the authors believed to be representative examples of the “feeble minded,” people considered to be of less than average intelligence. 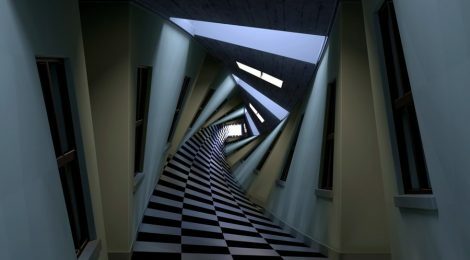 Two individuals from the CNCHM, Charles Clark and Clarence Hinks, both psychiatrists, concluded that the condition of “feeble mindedness” was becoming increasingly common. The CNCMH was involved in eugenics, a movement that advocated selective breeding in an attempt to improve the quality of the gene pool. The movement targeted the “feeble minded,” whom Clark and Hinks erroneously believed to be a cause of crime, prostitution, poverty, and unemployment. The CNCMH was renamed in 1950, and is now known as the Canadian Mental Health Association (CMHA).